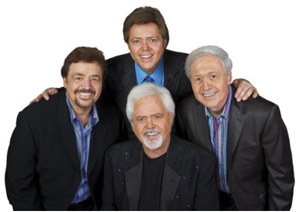 IT COULD be your last chance to see 70s superstars The Osmond Brothers as their last-ever tour comes to The Dome this Sunday. In a career spanning more than five decades, they have released more than 20 albums, sold more than 100 million records and racked up 59 gold and platinum discs. Their Up Close and Personal tour will take fans on a journey through classics such as One Bad Apple, Down By The Lazy River, Let Me In and Love Me For A Reason to Crazy Horses and Long Haired Lover From Liverpool – their 1972 number one. Asked why they were calling it a day, original singer Jimmy Osmond said: “That’s what I keep asking. It’s not my idea, but the truth is the four brothers have been working together a long time. HOW MUCH: £29.50, limited VIP tickets available at £95, complete with meet-and-greet seating on the front two rows.